FASHION TRENDS: GET THE LOOK.. TURN THE BRIGHTS ON!! Brights.. Neons… Its everything but what some may call TOO LOUD! Its geeenius! Orange, Red, turquoise, Green, Pink etc. every mind boggling colour of the rainbow that pops out at you is A BRIGHT TREND! I love Bright’s because it warms up all skin tones.. When you see it, it automatically makes you think of warmth and lots of youthful energy.. and there is no better way to play with proportions on the body than with bold COLOUR! So… I put together a few pieces from some of our favourite high street stores and created some ‘ready to wear’ outfits for this fashion trend.. I absolutely LOOOVE this look. Not only will you be on trend wearing this skin warming turquoise, but Fringe is carrying on into this years Spring Summer Season trends with a vengeance! *crowd of ladies cheer*. Lets not forget by pairing this hot dress with a pair of wedges, again is another trend which is carrying into this SS2011 season. This look is perfect for an evening out, or how about Valentines day? But whatever the weather.. or the occasion.. ITS GORGEOUS!! I love the cool casual feel to this outfit, I dressed it up by pairing it with some ‘on trend wedges to give more height and glamour to the outfit. I would go for this outfit to be on the SUPER safe side of dressing up in the ‘Bright’s Trend’. Quirky dresser? Love vintage style? or want to try it out.. Well I have picked some gorgeous pieces from New Look so that you can have/do just that! 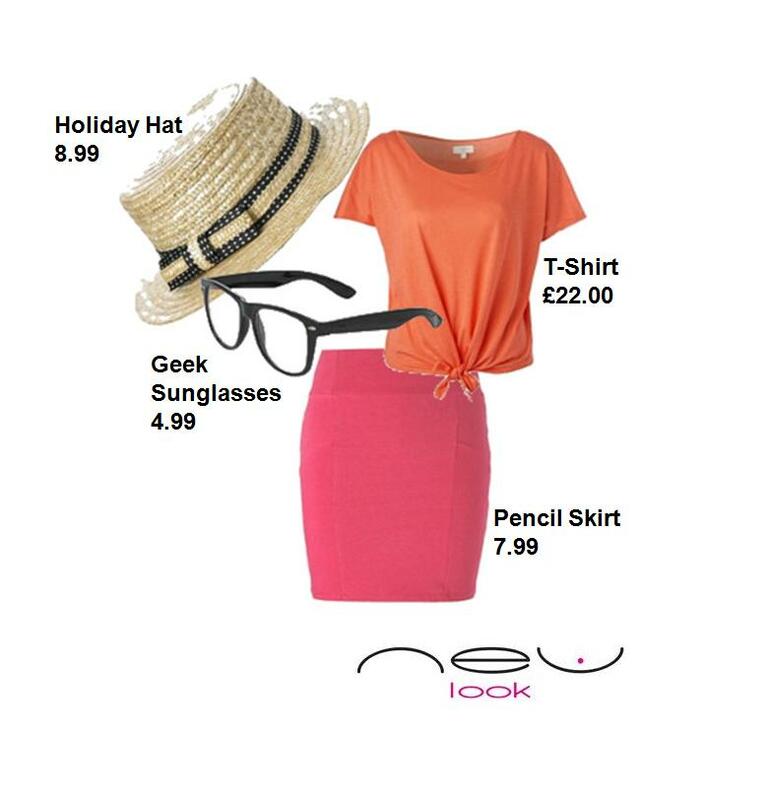 This outfit is effortless and an easy way to dress in the ‘Bright’s Trend’. PLUS I think with a lil’ customizing i.e. a few badges or broAches, this outfit has the potential of looking expensive!! I can see this outfit on Aygness Deane.. *grin*… GET THE LOOK. In all honesty… H&M was THEEE Hardest… all of these Hight street stores offer something in the ‘Bright’s trend’ But if you’re looking for something which offers more of an everyday ‘ready to wear’ pieces, they will most probably have what you are looking for. Can’t wait to wear some ‘Bright’s’?? As the weather is Cold.. why not pair the Denim shorts with a pair of tights and go for a cute pastel knit Cardigan to keep your arms warm. Previous Post FASHION PICKS: H&M SUSTAINABLE STYLE!! Next Post STYLIST ADVENTURE: BEHIND THE SCENES OF ME ASSISTING ON ‘BOYS BY GIRLS’ PHOTOSHOOT! !